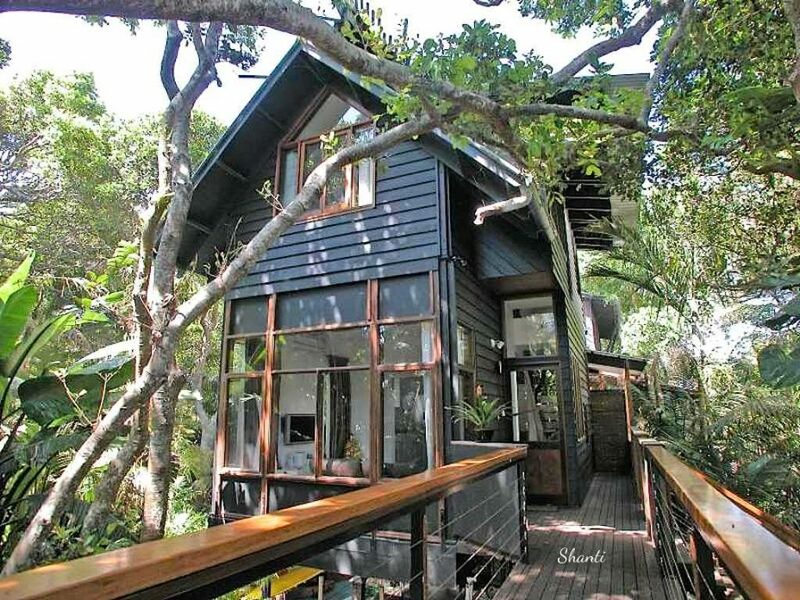 Luxury, Byron Bay Tree Houses on Belongil Beach, all connected by picturesque walkways and surrounded by lush rainforest. 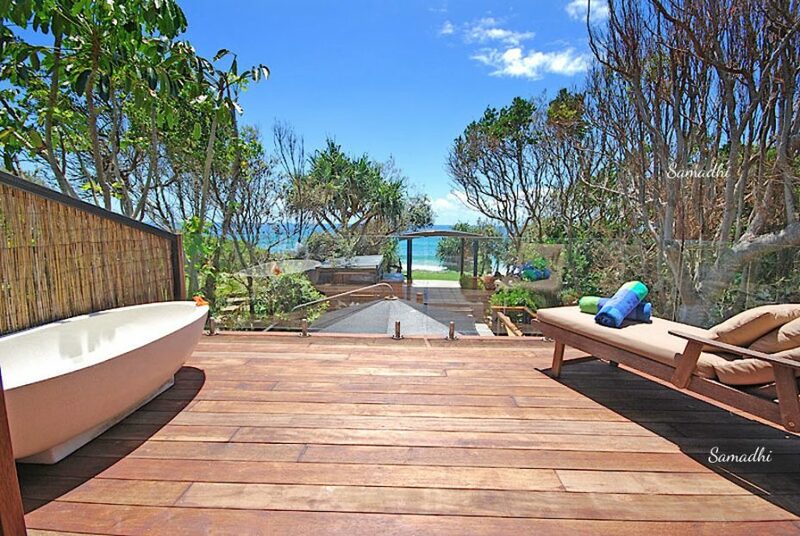 Shambhala @ Byron – Belongil is a one of a kind retreat and provides absolute Byron Bay beachfront accommodation. Within the stunning tropical gardens are four individual tree houses Shanti, Shiva, Sarita and Samadhi each with their own outdoor jacuzzi. 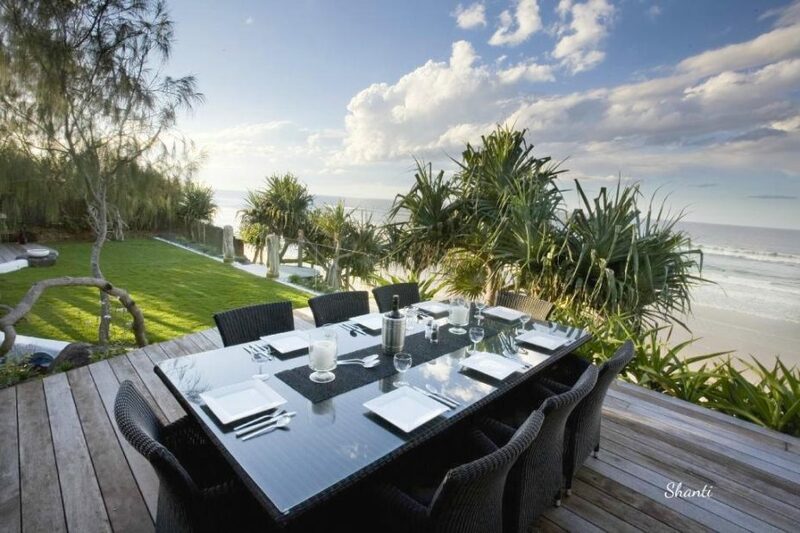 Each property is linked by floating walkways and expansive outdoor entertaining areas and can be booked individually or the entire retreat can accommodate up to twelve people, providing absolute privacy. 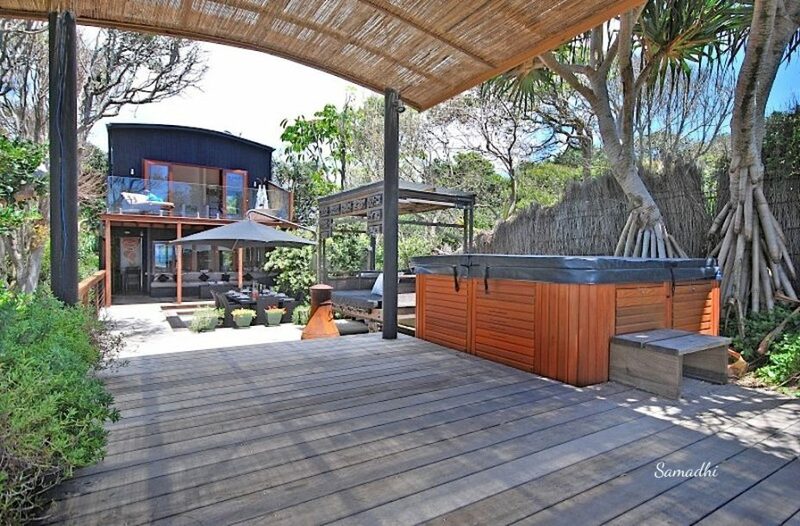 The landscaping of this property reflects the Feng Shui of the site to include a seven pool waterfall, white buddha pond, waterfall daybeds and stone rotunda. Idyllic gardens filled with exotic rainforest species, and giant rose quartz and amethyst crystals ensures that Shambhala is the perfect healing retreat. Each house includes flat screen television with Austar, DVD and CD player, wireless broadband access, reverse cycle air-conditioning. Common areas include steam room, sauna, spas & hammocks with sea or river views, massage or meditation/yoga spaces, and full laundry facilities. 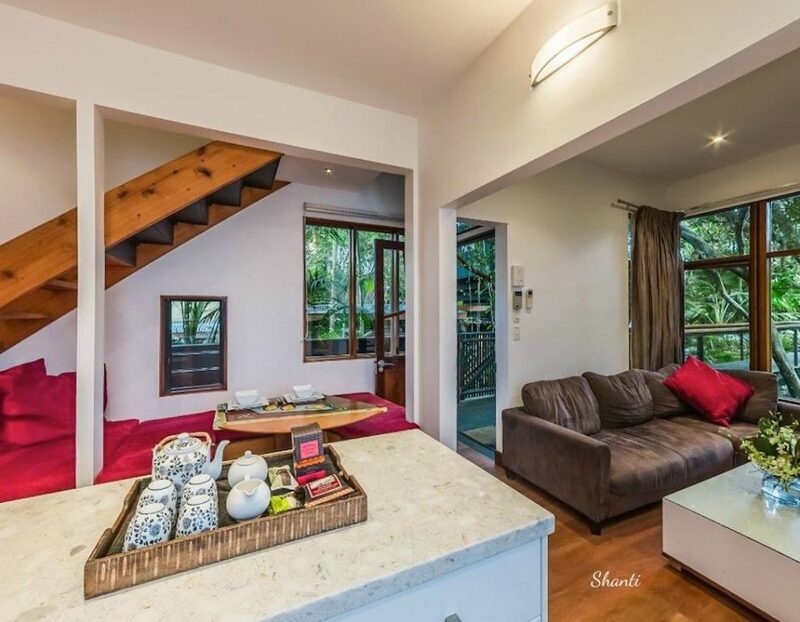 Samadhi Retreat is a one bedroom, two storey cottage which is ideal for a romantic getaway, thus, we refer to it as our “honeymoon” retreat. 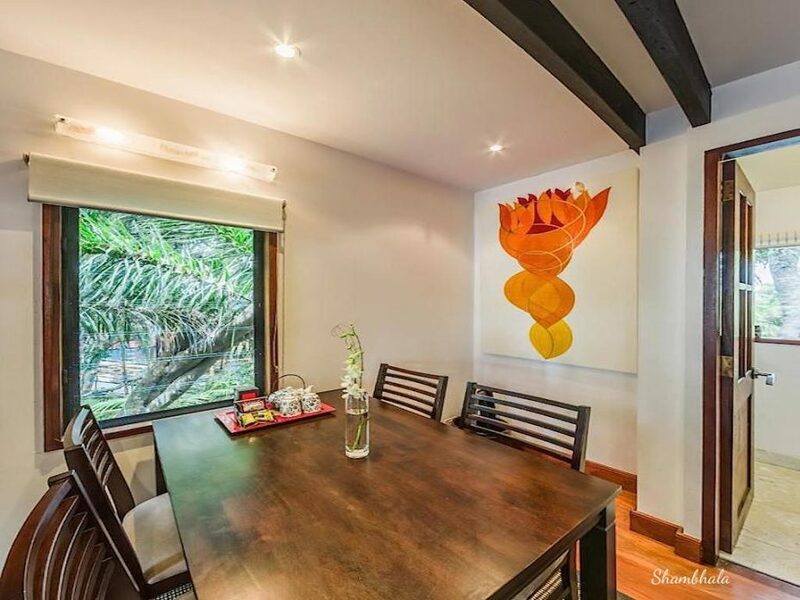 Intimate, yet spacious for a couple, Samadhi’s interior is immaculately furnished, its décor chic and modern. 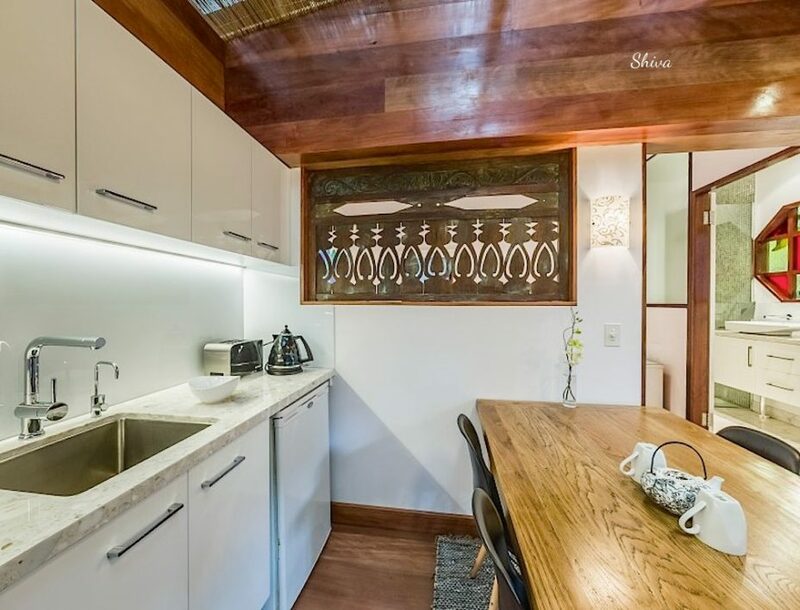 The main floor features a compact kitchen with dining table, bathroom with rain shower and living space with a flat screen television and DVD player. 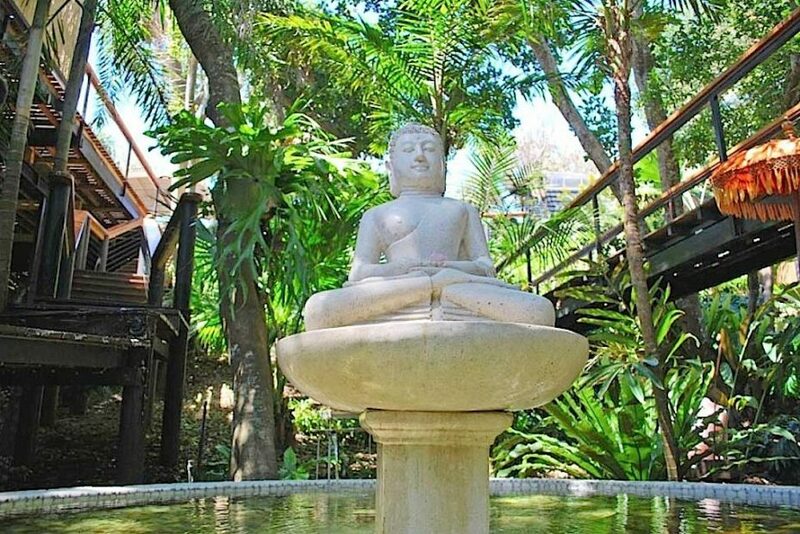 Shanti Retreat is perfect for two friends, or two couples, the Shanti Retreat transcends peace of mind. With a generous two storey expanse, three or four guests will enjoy both intimacy and privacy. 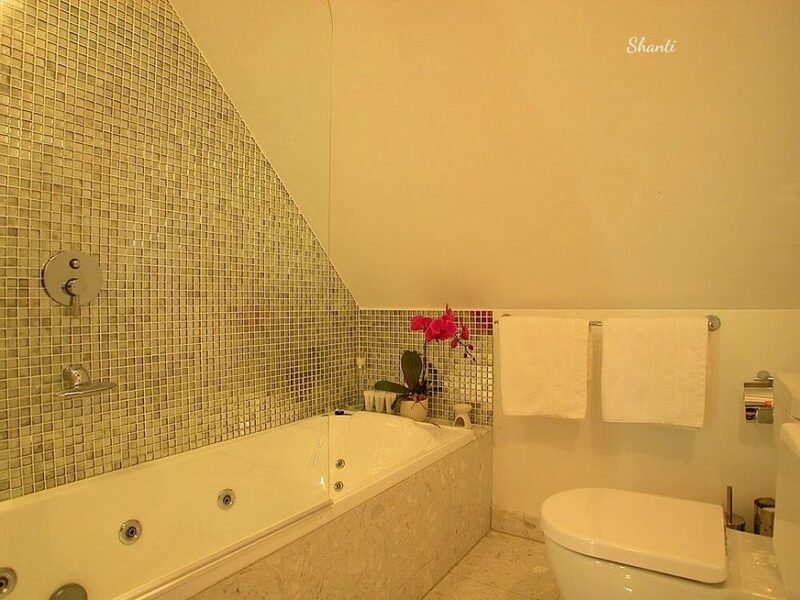 Two Queen size bedrooms and a full bathroom with Jacuzzi tub absorb the upper level of the cottage. 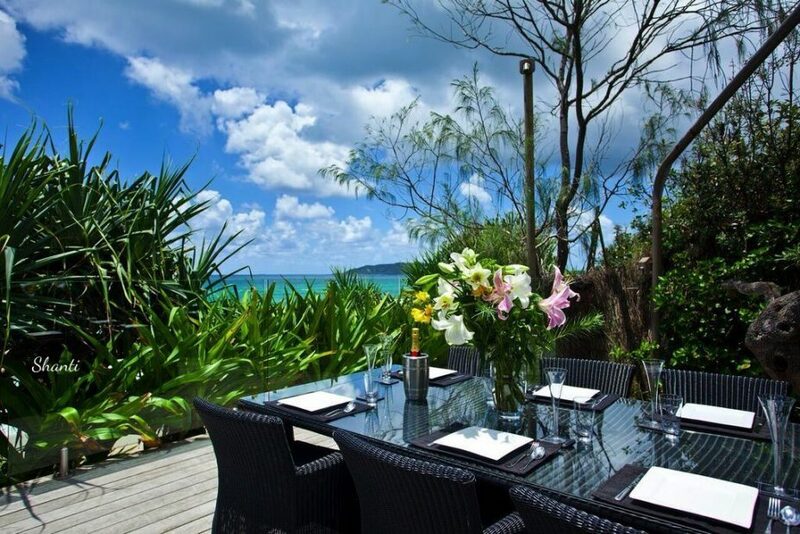 One of Shanti’s most popular features is the extensive ocean front deck. 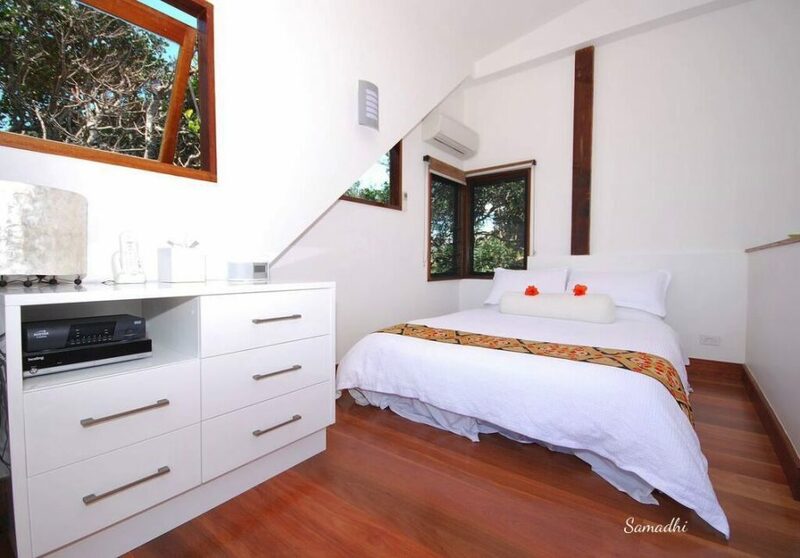 Sarita Retreat is the largest and most versatile cottage, Sarita sleeps up to five guests. 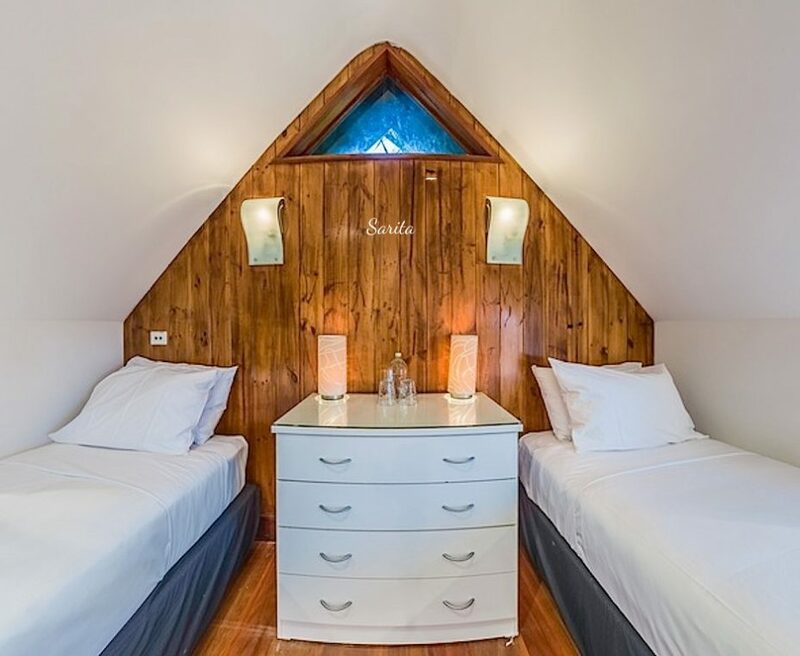 It’s perfect for a family getaway or a friends retreat. 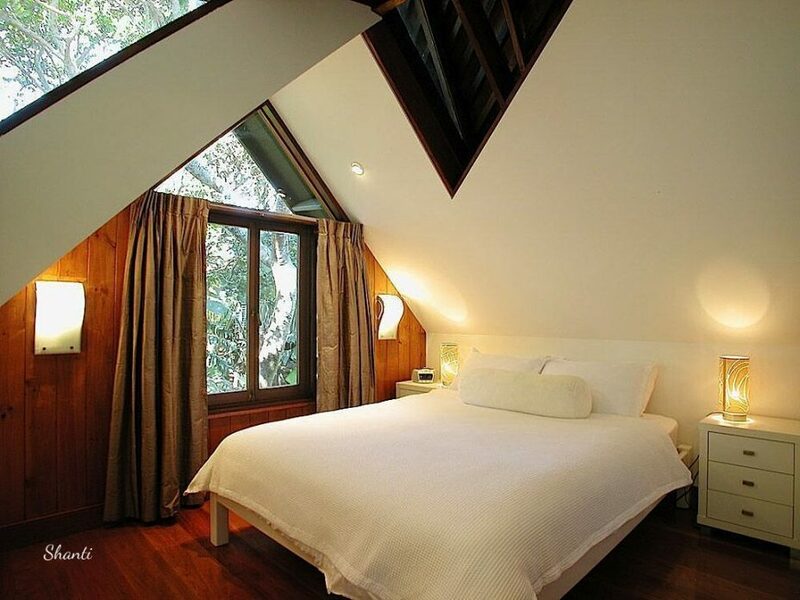 Elevated into the treetops, the main floor features a large living space and full bathroom with laundry facilities. 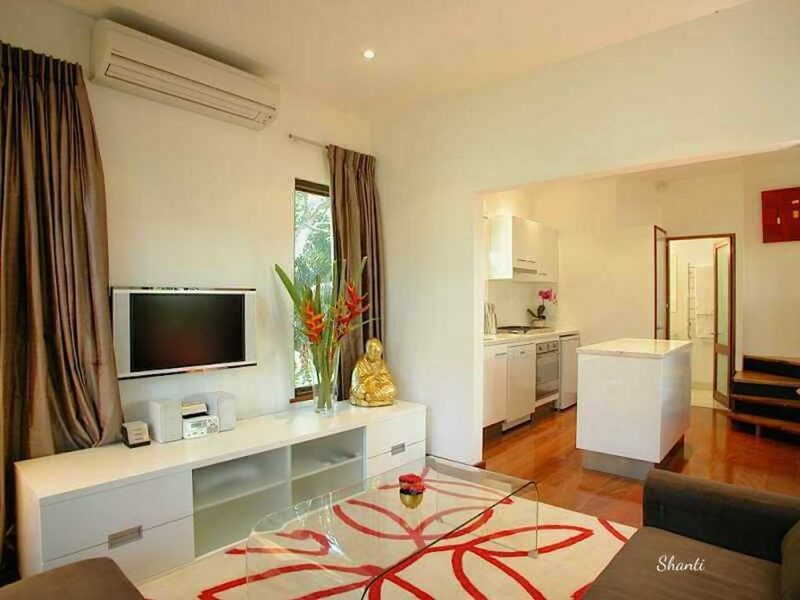 Sarita is located on the river side of the property, facing the fluent, flowing Belongil Creek. 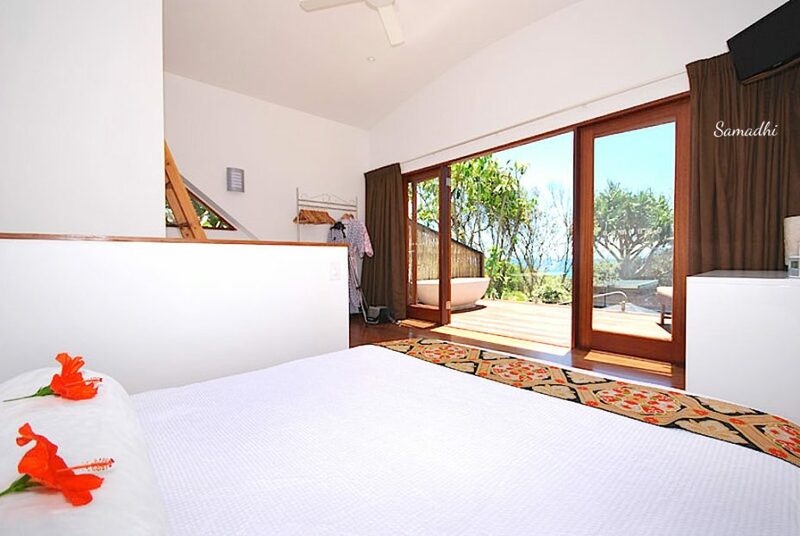 Shiva Retreat features a queen size bed, living space, kitchenette, & en-suite bathroom. Enjoy Foxtel or a DVD in your living space on your cimena-style projector screen. Guests enjoy the unique loft-style reading area complete with bean bag chairs. The Shiva Retreat is cocooned in rainforest. includes use of Shambhala’s common facilities. 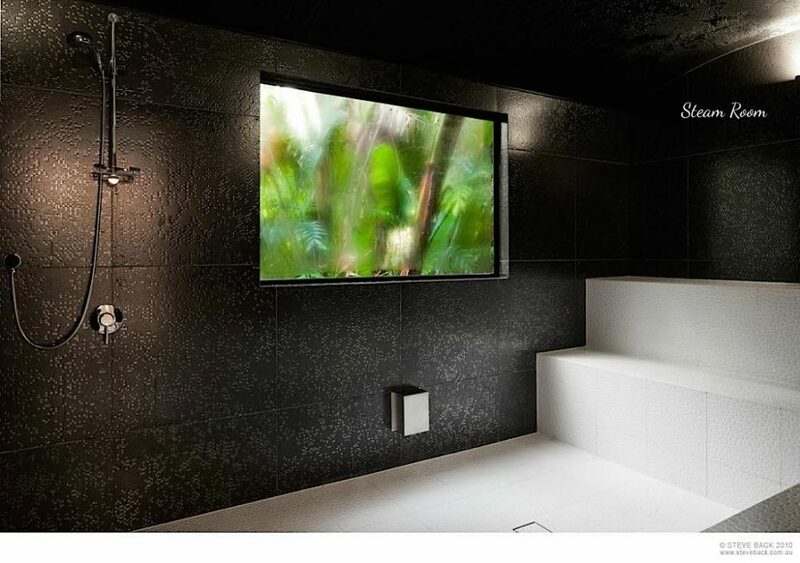 The resort is appointed with an elegantly designed, detoxifying steam room and a traditional hot rock sauna. Guests can keep up with their fitness regiment in our fully equipped gymnasium. The common area also includes laundry facilities, complete with washer and drier.